The Defense Information Systems Agency has awarded 14 companies spots on the unrestricted track of a potential 10-year, $7.5 billion contract vehicle for systems engineering, innovation and technology services. 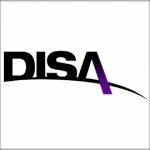 DISA received 35 proposals for the unrestricted portion of the multiple-award, indefinite-delivery/indefinite-quantity contract that has a base term of five years and one five-year option, the Defense Department said Thursday. The Defense Information Technology Contracting Organization sets the minimum contract guarantee for each contractor at $500 under the base period and will award the small business pool separately. DISA issued the solicitation for both pools in February 2017.